Getting your garden space prepped for winter saves money, time and disappointment. Nobody wants to see all their hard work ruined over winter. The good news is that any plant can be salvaged, protected or stowed away to help keep it healthy, and this will prevent the loss of hard work and money spent on creating your personal paradise. If you’re known for having a green thumb, you’ll know a gardener’s work is never done, and getting your growing space ready for winter is an important investment to undertake. All of these tasks take just a couple of hours to complete, and will be well worth it after the ice melts. 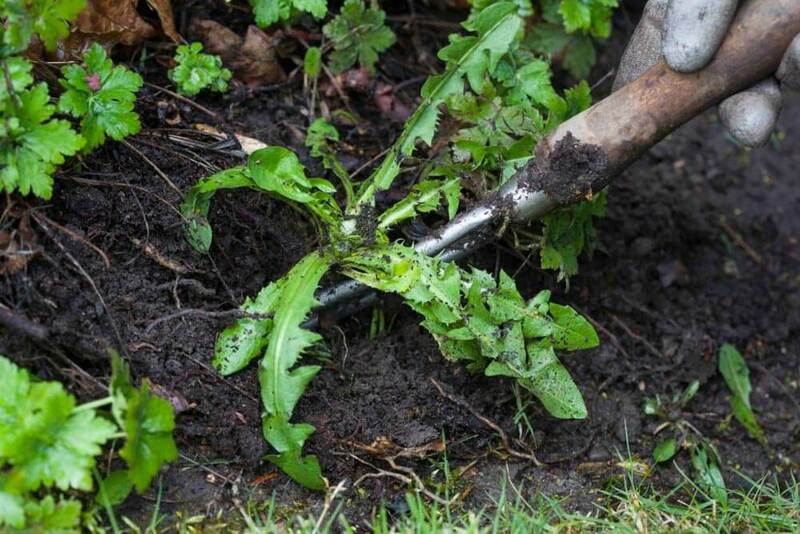 Clear out the dead leaves, dying or unwanted plants, and most importantly those deep-rooted weeds. You should also be clearing out all the plants that you suspect might not be doing so well, whether it be due to odd colouring, stunted growth or a bug infestation. Doing this in colder months is so much easier, as the mature roots are more prominent, and come loose with less effort. If you’ve added a new flower garden, draping them with a cloche will help protect the newly established plants from harsh weather conditions. 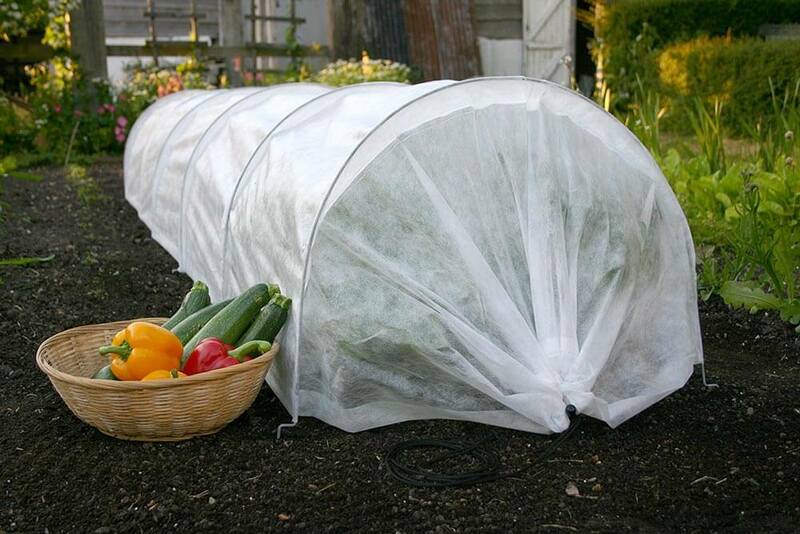 This is most useful for perennials, and less necessary for veggie patches. A good garden cloche aids with humidity, maintains warmer soil and results in stronger, faster growing plants, as well as deterring birds and pests. Here’s a good cloche option which is quick and easy to erect, but be sure to check the size and get the appropriate one for your area. 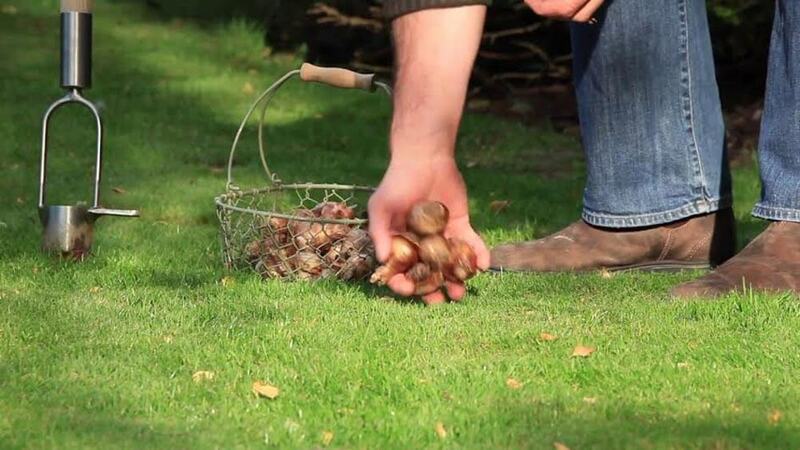 It’s important to get any new bulbs planted before the ground reaches freezing temperatures. In order for bulbs to survive, they need to be placed several inches deep for good protection over winter time, ready to bloom in spring. If the ground you’re working with is too hard, or you’re having trouble getting your bulbs to grow successfully, try out a power planter like this one. Even plants need winter gear, especially if they are trees, shrubs or rosebushes. 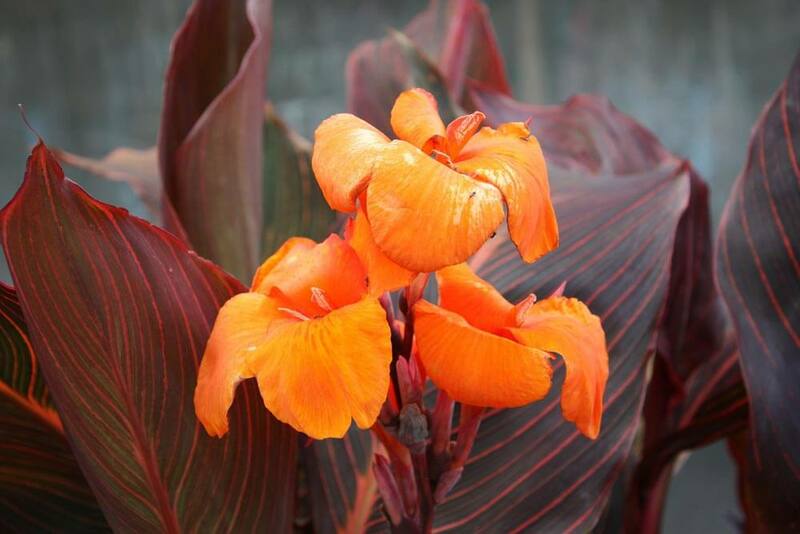 These plants aren’t famous for fairing well in icy winds, sleet, snow or hail and require extra protection if you live in an area which experiences harsh weather conditions regularly. Plus, it can look pretty amusing when you decorate them for Christmas. I like putting large googly eyes, a santa hat and tinsel over mine. 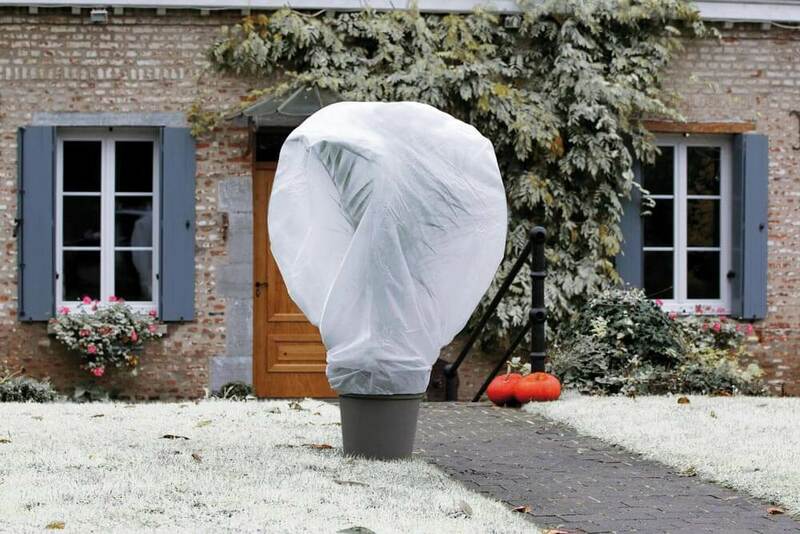 Remember, when putting your winter jackets over your beloved plants, make sure they’re well secured so they don’t blow away. Here’s a common fleece jacket gardeners tend to use. Alternatively, if you don’t want to buy one, you can fashion your own out of burlap, landscape fabric, cardboard or bin bags. To risk losing your delicate plants altogether, the safest bet is to dig them up and keep them safe out of the elements. Plants such as dahlias, cannas, elephant ear or other sensitive bulbs need to be dug up before the onset of winter. Once removed, transfer them to a dark, cool location such as the basement or shed, and replant during spring. Plants such as begonias or geraniums are best kept indoors this time of year, and make for wonderful house plants until spring rolls around again. Sure, they aren’t going to bloom indoors, but they still add personality and appreciate being cared for whilst they hibernate. 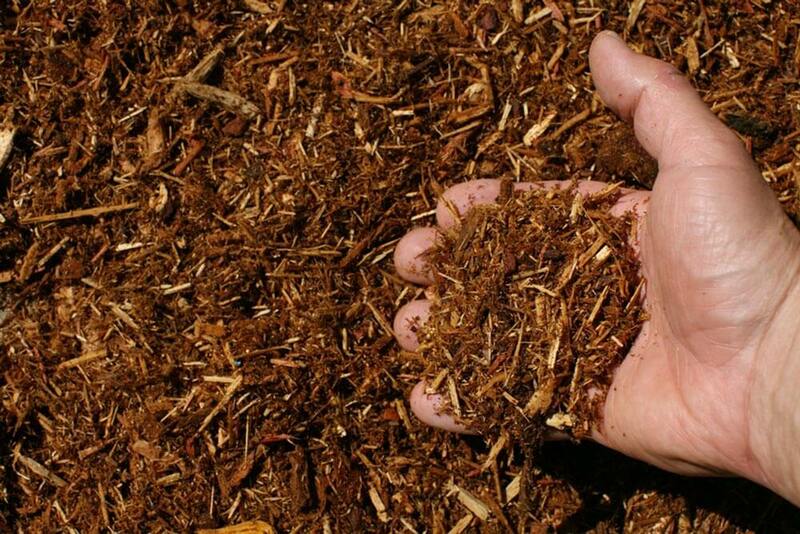 One of the best things you can do as a gardener is add a little more mulch before winter. Mulch works to insulate soil by adding organic matter, it also naturally deters weeds and protects vulnerable plants. Particularly for areas that are looking a little bare or worse for wares, adding mulch before the cold temperatures hit will help protect the roots of any plants in the area. And you don’t have to spend loads on wood chips, leaves will work just as well. Did you know? Mulch doesn’t actually keep plants warm, but ensures they remain cold like a blanket of snow would do. 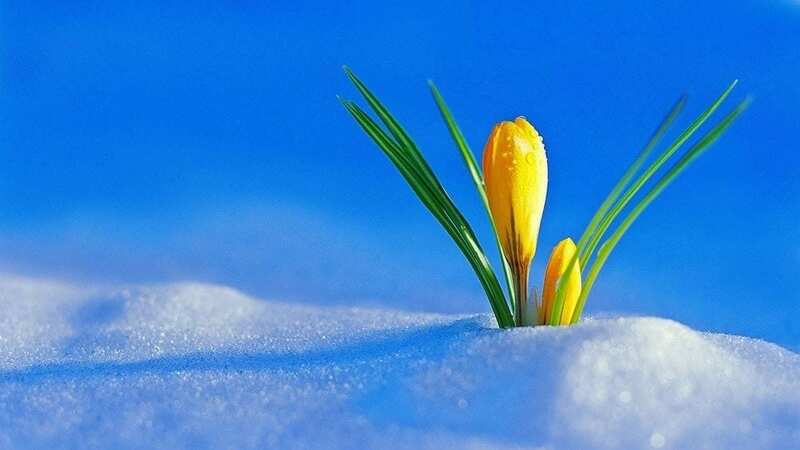 This helps keep the ground frozen until spring arrives, which is the time you want your plants to bloom, as not to risk them thawing prematurely. Step 7: Let your plants have one last drink, and then turn the water off. 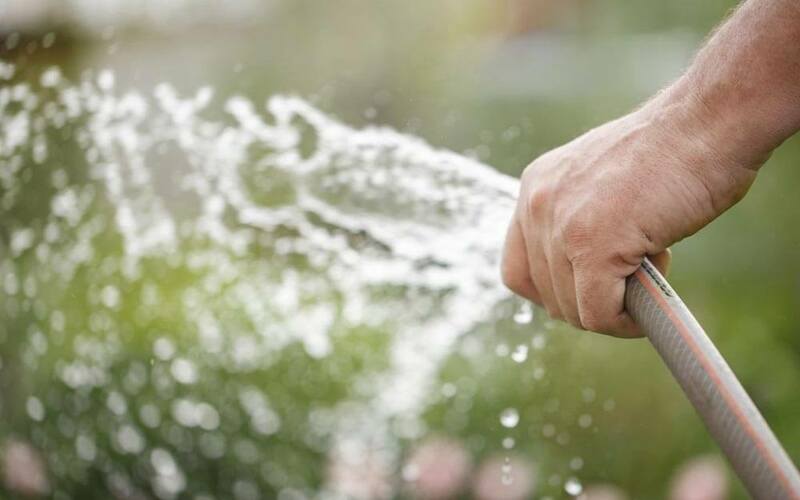 Give your garden one last long drink before shutting off the water for the winter. You don’t have to worry about maintaining water levels while it’s frosty outside, but giving your plants a little extra before the final watering will help dramatically. Doing the final watering about a week or so before the ground freezes is ideal. Enrol with us for your qualification in Aromatherapy! Reach for nature’s greatest gift with our internationally accredited Aromatherapy Course spanning 12 lessons of self-study or tutored guidance. Find out the many ways in which aromatherapy affects us physically and mentally, and how you can implement this information practically to help others. Benefit from therapeutic oil recipes and learn the dilution process… And so much more! Our learning establishment prides itself in providing quality holistic education that’s easily accessible and affordable. Every course comes with internationally-recognised diplomas that entitle you to practice as a therapist anywhere in the world. If you’d like a schooling experience with no stress, no commute, no deadlines, no fuss and great value for money, then you’re in the right place! Enrol with us today and benefit from our celebratory special offer and discover what type of future you could create for yourself. Contact us for more information. We’d love to hear from you!